Pregnancy and the birth of your baby are exciting times. 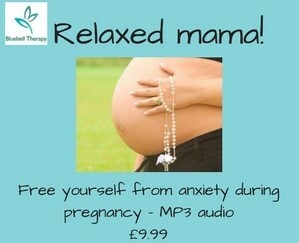 This hypnotherapy MP3 helps to alleviate anxieties so that you can embrace the whole experience in a positive and life-affirming way. Please do not use your audio while driving or operating machinery. Hypnotherapy is a very safe form of therapy. However, please do not use if you have a history of psychosis or a drug or alcohol addiction. If you suffer from epilepsy, please consult your doctor prior to using hypnotherapy.Remember, your safety is your responsibility.